Two goals, aggressive defending and a whole lot of pace. 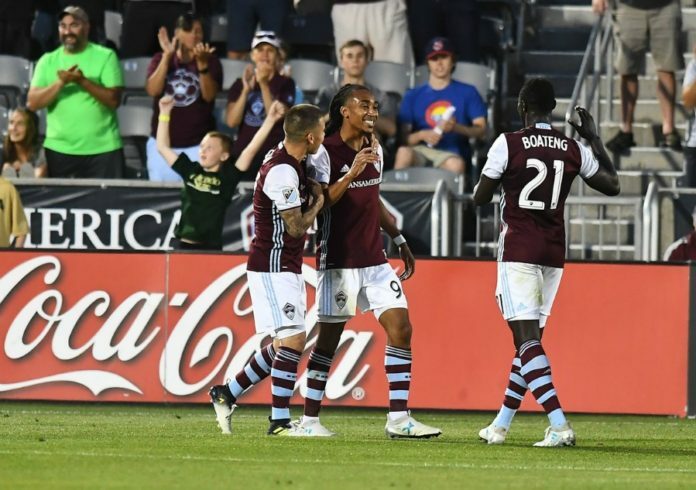 That’s what Marlon Hairston brought to the Colorado Rapids in Saturday’s 3-1 home victory over the Houston Dynamo. Hairston started at the right winger position in an MLS game for the first time in a while against the Dynamo. Pablo Mastroeni had been utilizing the quick American as a right fullback, primarily because of his stellar one-on-one defending and his ability to push the ball forward and up the side. However, a recent rash of injuries, including another achilles injury to Shkelzen Gashi, forced his hand and Hairston made the most of his opportunity. Hairston had two goals on the night. 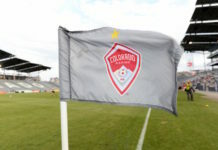 His first came after an athletic play by Dominique Badji, who reached the ball just before Houston goalkeeper Joe Willis controlled it, slid a skittering cross across the face of the goal that Hairston tapped in. Badji made the play, but Hairston deserves credit for not giving up on the play, despite the fact that it looked like Badji didn’t have a chance at reaching the ball in time. Hairston’s second was an absolute stunner of a goal. He received a pass from who else but Badji, who had an assist on all three goals. He had to chip the ball over Willis’s right shoulder and hit it with such finesse that it wouldn’t go over the crossbar, nor be soft enough that Willis could tip it. He did just that, and scored one of the most impressive goals by any Rapid this season. 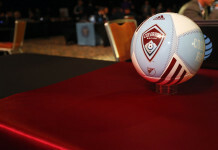 It’s widely known in Rapids circles that Hairston’s positional preference is at the winger position. In his postgame interview, he said that management made a great decision in putting him at the winger position. Obviously, he’d prefer to play winger over fullback any day of the week. After his performance on Saturday, along with his obvious chemistry with Badji, he made Mastroeni’s future lineup decisions much more difficult. Hairston should have no problem holding down the position in Gashi’s stead, but when the latter returns, Mastroeni will have to decide who to give the two winger positions to, and he’ll have to choose between Gashi, Hairston and Dillon Serna, who’s played extremely well in his own right in the past few games. The win marks the Rapids’ fourth in the past 6 MLS games. After many had written them off early in the season, they have finally climbed out of last place in the Western Conference for the first time in months. They currently sit in ninth place in the west, and are only three points off from a playoff position. 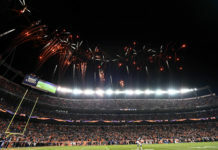 They play the defending MLS champion Seattle Sounders at home on the Fourth of July in another fireworks game, and if they pull off the victory, they’ll move up into eighth place at the very least.